IDC Custom Solutions is a team of content-based marketing consultants dedicated to helping you leverage relevant IDC content and our custom services in your marketing initiatives. Throughout each engagement we provide insights and best practices on achieving the best results with your selected program elements. Our expertise, flexible business model, and range of offerings enables our team to support your marketing programs from a single call-to-action incentive to a broad global media campaign. 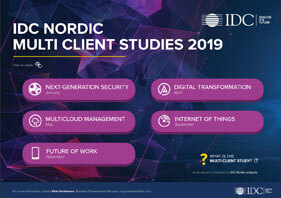 The opinion, analysis, and research results presented in IDC Custom Solutions deliverables are drawn from research and analysis independently conducted and published by IDC, unless otherwise and explicitly noted. A license to distribute IDC content does not imply an opinion about or endorsement of the licensee or its products and services. This ongoing commitment to independent and reliable research makes IDC one of the most sought after sources of IT industry intelligence and advice.